Car Seat Ponchos for Safe Winter Rides! So many things that we do for kids today are different from what was done even 5 years ago. Safety and technology has come leaps and bounds in keeping our little ones safe in many ways. One of the things that I and many other people never knew was that babies and toddlers wearing puffy jackets strapped in car seats are not safe. The straps are nowhere near tight enough to keep them safe in the even of an accident. There is so much air around the stuffing of a puffy jacket, that even if you think it is strapped well it is not. To test if your child’s jacket is too bulky, strap your baby into the car seat, coat and all. Unstrap — but don’t loosen the harness, take the coat off, and strap your child in again. When you strap your child back in jacket-free, you shouldn’t be able to pinch the strap. If you can, your kid wouldn’t be secure wearing that puffy jacket. Thankfully the Birdy Boutique found me right before it started to get cold here! They sent me the most beautiful poncho to use for Delilah this winter so that she is safe and secure in her car seat. With her being only 22 pounds at 2 years old, everything we can do to keep her safe we will do. I was so impressed by the quality of the poncho that Birdy Boutique sent me, the sewing was impeccable, all the seams were enclosed so that you don’t have to worry about scratching or even sensory kids having a problem with them. The fleece was soft, yet lightweight and we wont have to worry about it being too hot or too light. I am almost excited for the cold weather to come just so we can use this poncho every day! When you are a parent or a grandparent you worry about the kids safety, and this is one less thing that you need to worry about. Makes a perfect gift for the holiday season as well. I love that these ponchos are MOMMY MADE: Designed in the USA by a small company in Michigan! Dozens sold to happy moms and dads all while supporting a mom owned Michigan-based business! UNIQUE: Custom printed fleece! Every pattern you see on our ponchos was carefully thought out, designed, and printed just for Birdy Boutique. You won’t see these patterns or fleeces anywhere else! 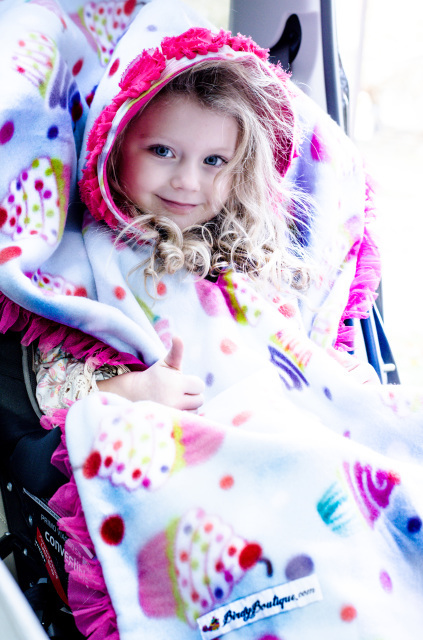 The ponchos also come in one size, the poncho fits kids 6-12 months old in a car seat and up to 4 or 5-year-old walkers in their convertible car seats, growing with them! Keep them safe and keep them warm! Check out the BirdyBoutique.com website and their social media! Just when you thought that bedtime could not get any better, there are some great new books for you to read to your kids before bed to help them make the transition easily. Multi-Platinum, three-time Grammy® Award winning artist Michael W. Smith launches Nurturing Steps™, a new infant and toddler series with a simple mission to offer parents and grandparents with music and books to enliven a young child’s journey with hope and faith through song and storytelling. 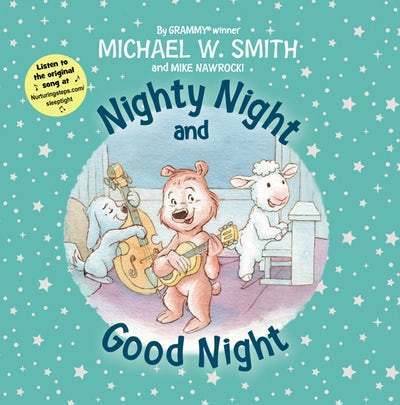 The first new album, Lullaby, and book, Nighty Night and Good Night, from Nurturing Steps released on May 4thand May 8th, 2018. Some of you know Michael W. Smith for his Christian music. He has gotten together with VeggieTales co-creator Mike Nawrocki to write some amazing stories for infants and toddlers. We all know that reading a bedtime story is a tradition in many homes, one that we enjoy here as well. There is nothing better than snuggling down with your little one and taking some time together to read a book. The Nurturing Steps books are specifically geared toward going to sleep, I loved that fact about these books. The first book Let’s Get Ready for Bed, is a cute little story about all the things done before going to bed, from bath time to prayers, all the way to reading a bedtime story. This is a fabulous book, with great illustrations that are of muted colors to keep calm to the whole theme, it talks about moving from daytime to bedtime and what needs to get done. The first book in the Nurturing Steps Series is Nighty, Night and Goodnight, this is about Ben who has a hard time going to sleep and needs some help from the Nighty Nights to get some rest. 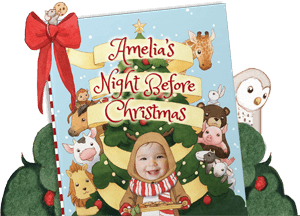 Cute and upbeat, also shows how kids can deal with having a rough go at settling down at night. These books are amazing children’s books that will have your kids begging nightly for you to read to them again and again. They are well made, and the stories capture their attention while teaching them life skills at the same time. It is so important to take the time to show kids what you want them to know, not just what the world out there wants them to believe. Nurturing Steps would also make a great gift for your friends and family. I am sure all of them would love to read and share these books with the kids in their lives. Make sure to enter our giveaway HERE so you can win your very own! Personalized Photo Books for Kids! I am always on the lookout for amazing gifts for my grand kids and I found one this year that you are going to love too! Read Your Story has personalized books for kids that you as the giver can personalize. If you want a child to have success in school, I think one of the most important things you can do is read to them and teach them to read. I have watched a whole new world open up to every child in my life as they learn to read and of course we all know the best way for kids to learn is to have things to read that holds their interest. Read Your Story knows this is the key as well and they have a variety of books that you can personalize easily for any child you want to give a gift to. You simply upload a picture and follow the directions on the website and in the end you will see exactly what your book will look like. You have options at that point to go back and edit photos or even how they are cropped so they look perfect. I love that you can preview your entire book before you buy – see where your child’s name and photo appear! In about a week a beautiful book about your child will arrive to wow you! I was beyond excited about these books. The quality of the printing, binding and illustrations was impeccable. I have seen other like this and I have to see this is one of the best I have ever reviewed. In the book we received was Night Before Christmas. Your childs picture is featured on many of the pages and there are even some pages where you can put in siblings or other family members pictures and names. The addition of this really brings home the unique personalization that Read Your Book captures. The story is great and not exactly like the original, which is nice to not have the same story in another book. It is going to be a tradition for years to come for us to read this book with original names and pictures on Christmas Eve. If you are looking for that special book to give a child in your life, look no further than the Read Your Book Collection. Night Before Christmas would make a great addition to a pair of special pajamas for the holidays. You can see all of their books on their website and personalize one of your very own, it is easy and fun and will bring you great results to read time and time again with your child and to your child. Check out their social media and keep track of all the new books they come out with throughout the year as well. I am so excited about the season of Christmas being upon us! It brings so many traditions to so many and they are always so heartwarming and exciting for everyone to do. It is one of the most treasured part of the year. One of the traditions that many people have is the Ugly Sweater party, my biggest problem is finding one that is good enough for me. This year however I had no worries, Ugly Christmas Sweater dot-com had me covered. They sent me the neatest Grinch sweater to wear this year, and I was impressed. This sweater is fabulously made, it is so nice that I plan on wearing it all I can between now and Christmas. it is soft, and thick and deliciously warm. It will be my sweater of choice for every party that I attend this year. My son is trying all he can to steal it from me. I should have ordered two! Ugly Christmas Sweater has so many incredible sweaters to choose from I am sure there is going to be one that is just perfect for you or for you to give as a gift. Ugly Christmas Sweater has cardigans, pullover, even 3-D sweaters like the moose, They even have couples sweaters so that you two can have a fabulous time at your event together. It is just another one of those fun things that are done during the holiday season that brings us all just a bit of joy. I am always for more joy, after all ’tis the season! I have to tell you though that the product that has gotten my attention is the ride on “sweaters” that are going to wow your friends. As soon as I saw it I could imagine my daughter riding it throughout a store doing her shopping! I mean, who doesn’t want to ride on an elf this Christmas!? No matter what kind of sweater or holiday cheer you are looking for, I know you are going to find it on Ugly Christmas Sweater dot-com they have amazing costumes and dress up outfits as well. Check them out at their website or on their social media to keep tabs on what is coming soon! Make Sure this Holiday to Pack the DiaResQ! With the holidays fast approaching, make sure to pack a product that can help keep your family healthy while you’re away! How often on a trip do you realize that you or your kiddos have consumed something that leaves tummies rumbling? That’s why I’m super excited about DiaResQ! It’s really unique because it is a food, not a drug, made from naturally derived ingredients to provide rapid relief. In fact, it is the first product of its kind! 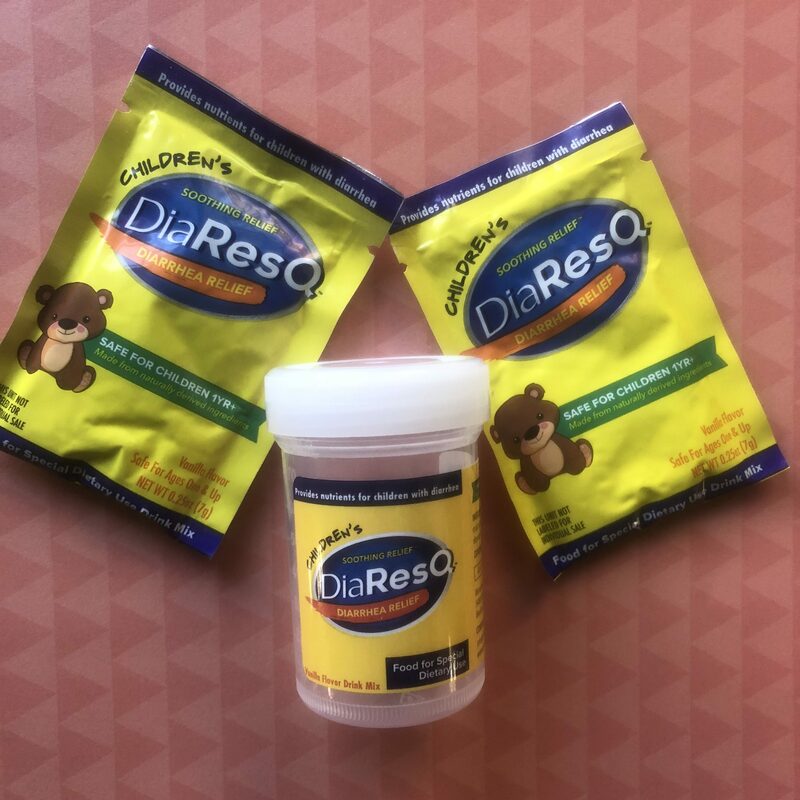 You can find DiaResQ at Amazon, Target, CVS, Walmart and these additional retailers. Get $3 off DiaResQ now through November 24th at CVS. No code or coupon necessary. Do You have your Halloween Costumes? Are you ready for Halloween? We are so excited here, it is one of those holidays that my daughter in law gets very excited about, she starts decorating in late September. Having three kids gives her lots of costume options, and of course she is always thinking about what she wants to dress up as to go out with the kids. This year she has decided to be a skeleton and we were so fortunate the TVStoreOnline.com had a perfect costume. 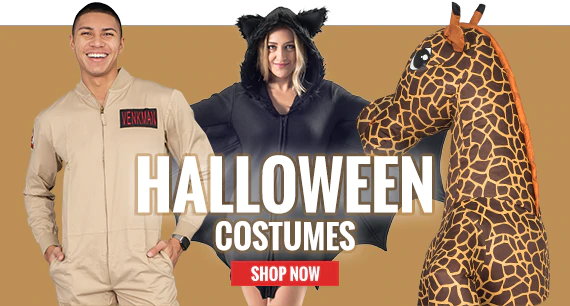 TVStoreOnline.com has your whole family covered for the halloween season, they have costumes for the whole family to match, make up, fantasy costumes, super heroes, and of course all of your favorite TV characters. I have shopped in big box stores, and also in Halloween specific pop up stores, and I seem to always have terrible luck. The selection is minimal, and even if you find what you are looking for it is likely they are not going to find your size or it is picked over and not in good condition. TVStoreOnline.com is really one stop headquarters to find exactly what you want for your perfect Halloween! Sweet costumes, animal costumes, scary costumes and even baby and toddler costumes you can get them all in one stop and have them shipped right to your door. I remember when my kids were small and having to drag them to the store to buy a costume, it was a mess every single time. They go into it knowing exactly what they want to be, but of course the moment they see all of the other things they change their minds a million times. Doing regular shopping with kids can be a mess, doing Halloween costume shopping is just a nightmare. Simply find the costume they want, bring it up on your phone or computer show them, order the right size and you are done! Easy as pie. I as a mom will always the best and easiest way out, kids are happy and I am happy. Check out the massive selection on TVStoreOnline.com and shop away, make sure you shop early, your selection will always be better that way. Don’t forget all of the accessories you need for your costume, and avoid going out into a brick or mortar store! Happy Halloween have a great time!